In a word (or two)? Baby gifts. 5 dear friends and relatives are expecting babies in the imminent future. So here’s a quick photo blog of what I’ve already finished and gifted. This is a little pattern I made up. 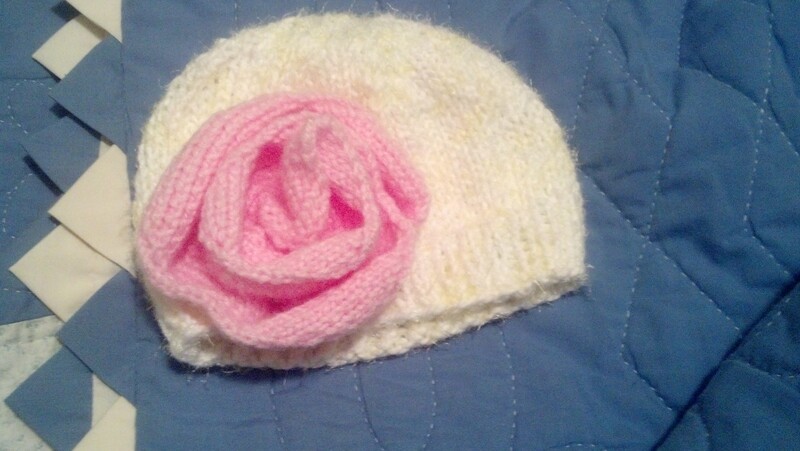 I have a basic baby hat pattern I developed. 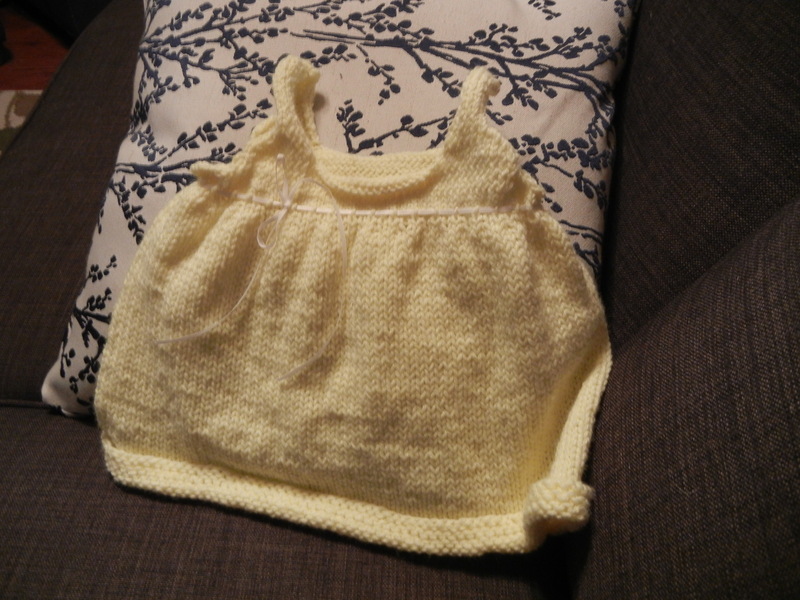 I made that in a white cotton yarn with a yellow fuzzy carry-along yarn. The rose is made out of a wavy piece of knitted fabric coiled into a flower and stitched in place. 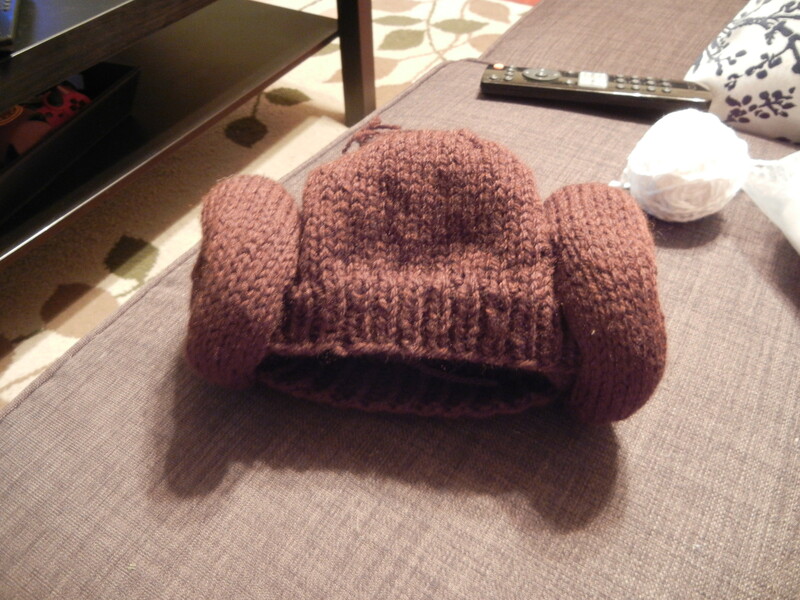 I like to make fun baby hats for my close friends. For Seth and Amanda, I knew I wanted to do something Star Wars themed, so when I found out they were having a girl I designed this Princess Leia hat. 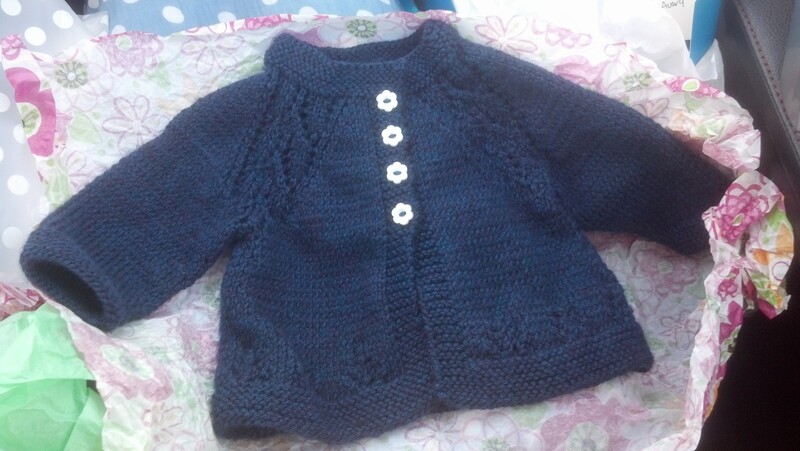 This is the second time I’ve knit this pattern. I wasn’t super thrilled with how it turned out at first. It was really wide and short. But I added the white ribbon to use as a drawstring, which improved it greatly. This is the first sweater I’ve ever knit and I love how it turned out!